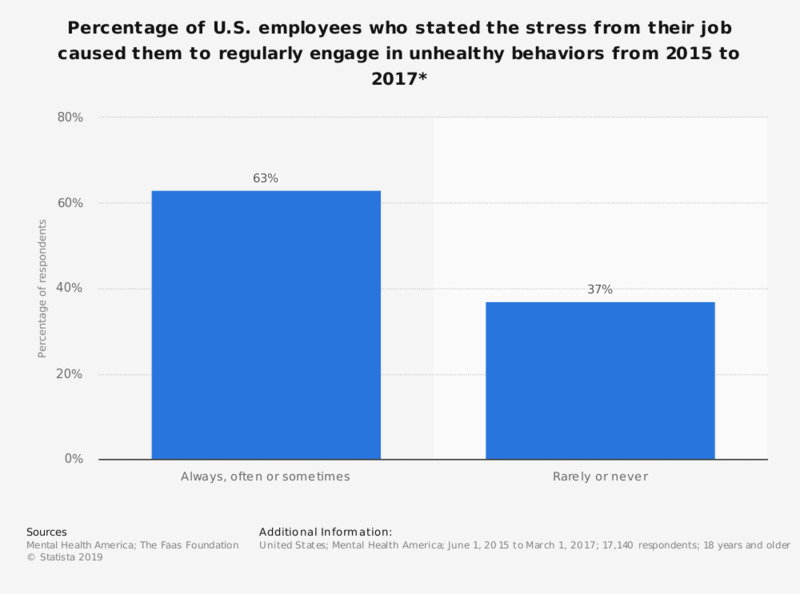 This statistic shows the percentage of employees in the U.S. who stated the stress from their job caused them to engage in unhealthy behaviors, such as drinking or crying regularly, from 2015 to 2017. During this time period, 63 percent of respondents stated that they "always, often, or sometimes" engaged in unhealthy behaviors to combat work-related stress. When you go on vacation or weekend, is the fear of the breakdown, for you, a source of stress?